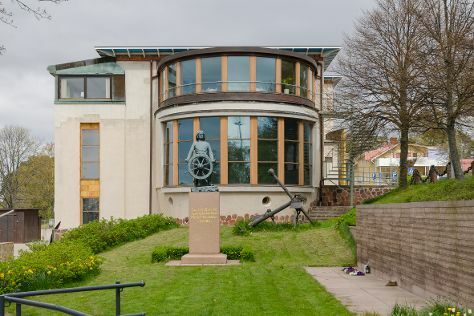 On the 23rd (Mon), learn about all things military at Sea Fortress Suomenlinna. Keep things going the next day: take in the spiritual surroundings of Rock Church, admire the masterpieces at Museum of Contemporary Art Kiasma, then don't miss a visit to Senate Square, then hunt for treasures at Market Square Kauppatori, and finally take in the spiritual surroundings of Uspenskin Cathedral (Uspenskin Katedraali). To find photos, maps, more things to do, and tourist information, refer to the Helsinki day trip planning app . Amsterdam, Holland to Helsinki is an approximately 5.5-hour flight. You can also do a combination of flight and ferry; or drive. The time zone changes from Central European Time (CET) to Eastern European Time (EET), which is usually a 1 hour difference. In September, Helsinki is a bit cooler than Amsterdam - with highs of 19°C and lows of 8°C. Finish your sightseeing early on the 25th (Wed) to allow enough time to travel to Mariehamn. Mariehamn is the capital of Åland, an autonomous territory under Finnish sovereignty. Start off your visit on the 26th (Thu): step into the grandiose world of Jan Karlsgården Outdoor museum Jan Karlsgården, steep yourself in history at The Maritime Quarter, then test your team's savvy at popular escape rooms, then brush up on your military savvy at Aland Maritime Museum, and finally examine the collection at Museumship Pommern. For more things to do, other places to visit, traveler tips, and other tourist information, read our Mariehamn planner . Traveling by flight from Helsinki to Mariehamn takes 3 hours. Alternatively, you can do a combination of train and flight; or do a combination of bus and flight. Expect a daytime high around 18°C in September, and nighttime lows around 9°C. Finish your sightseeing early on the 26th (Thu) to allow enough time to travel to Turku. On the 27th (Fri), test your team's savvy at popular escape rooms, then get your game on at Moomin World, then explore the historical opulence of Turku Castle, and finally contemplate in the serene atmosphere at Turku Cathedral. To find maps, photos, and other tourist information, use the Turku holiday planner . Getting from Mariehamn to Turku by flight takes about 2 hours. Other options: ride a ferry. Expect a daytime high around 18°C in September, and nighttime lows around 7°C. Finish up your sightseeing early on the 27th (Fri) so you can go by car to Haemeenlinna. On the 28th (Sat), learn about all things military at Parola Tank Museum, tour the pleasant surroundings at Aulanko, and then examine the collection at Museo Militaria. To find other places to visit, ratings, photos, and tourist information, refer to the Haemeenlinna trip itinerary builder . You can drive from Turku to Haemeenlinna in 2 hours. Alternatively, you can take a train; or take a bus. In September, daytime highs in Haemeenlinna are 17°C, while nighttime lows are 7°C. Wrap up your sightseeing on the 28th (Sat) to allow time to drive to Kouvola. Kouvola is a town and municipality in southeastern Finland. 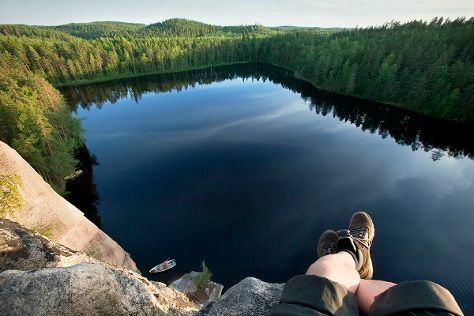 Kick off your visit on the 29th (Sun): explore the striking landscape of Repovesi National Park. To see other places to visit, maps, photos, and more tourist information, read Kouvola tour site . Getting from Haemeenlinna to Kouvola by car takes about 2 hours. Other options: do a combination of bus and train; or take a train. In September, plan for daily highs up to 17°C, and evening lows to 9°C. Wrap up your sightseeing on the 29th (Sun) to allow time to drive to Savonlinna. Start off your visit on the 30th (Mon): take in the spiritual surroundings of Kerimaki Church, examine the collection at Lusto - The Finnish Forest Museum, explore the historical opulence of Olavinlinna Castle, see the interesting displays at Savonlinna Provincial Museum, then make a trip to Pikkukirkko, and finally pick up some local products at Savonlinna Market Square. To see reviews, where to stay, photos, and tourist information, read Savonlinna trip itinerary website . Drive from Kouvola to Savonlinna in 3 hours. Alternatively, you can take a train; or do a combination of train and bus. In September, plan for daily highs up to 16°C, and evening lows to 7°C. Wrap up your sightseeing on the 30th (Mon) to allow time to drive to Kuopio. Kuopio is a city and a municipality located in the region of Northern Savonia, Finland. Start off your visit on the 1st (Tue): take in panoramic vistas at Puijo Tower, see the interesting displays at RIISA - Orthodox Church Museum of Finland, then contemplate the waterfront views at Valkeisenlampi, and finally ponder the world of politics at Kuopio Market City Hall. Here are some ideas for day two: pause for some serene contemplation at Lutheran Cathedral, admire the majestic nature at Snellman Park, pause for some serene contemplation at St. Nikolaos Cathedral, then have fun at Vainolanniemi, and finally test your problem-solving skills at popular escape rooms. To find reviews, traveler tips, photos, and other tourist information, refer to the Kuopio travel route planning site . You can drive from Savonlinna to Kuopio in 2.5 hours. Alternatively, you can do a combination of bus and train; or take a bus. Expect a daytime high around 15°C in September, and nighttime lows around 9°C. Wrap up your sightseeing on the 2nd (Wed) early enough to drive to Kuusamo. Kuusamo is a town and municipality in Finland. Kick off your visit on the 3rd (Thu): admire all the interesting features of Palosaari Reindeer and Fishing Farm, head outdoors with Karhunkierros, and then explore the world behind art at Hannu Hautala Nature Photography Centre. To see other places to visit, ratings, reviews, and more tourist information, use the Kuusamo road trip planner . Getting from Kuopio to Kuusamo by car takes about 5.5 hours. Other options: take a bus; or fly. Plan for little chillier temperatures traveling from Kuopio in October, with highs in Kuusamo at 3°C and lows at -1°C. Finish your sightseeing early on the 3rd (Thu) to allow enough time to travel to Inari. Kick off your visit on the 4th (Fri): take in the pleasant sights at Otsamo Fell and then get a dose of the wild on a nature and wildlife tour. To find more things to do, maps, photos, and tourist information, go to the Inari trip itinerary planner . Fly from Kuusamo to Inari in 5.5 hours. Alternatively, you can drive; or take a bus. In October, plan for daily highs up to 3°C, and evening lows to -2°C. Wrap up your sightseeing on the 4th (Fri) early enough to drive to Rovaniemi. 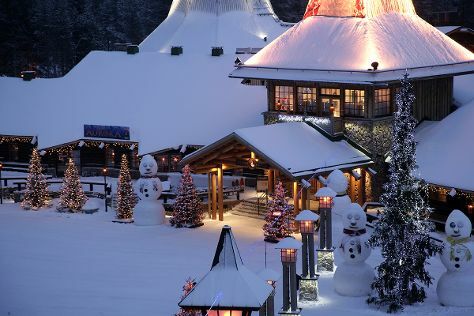 Start off your visit on the 5th (Sat): stop by Your Piece Of Finland, take an in-depth tour of Arktikum, then stroll the grounds of German Soldier s Cemetery, then see Santa Claus Office, and finally find something for the whole family at Santa Claus Village. On your second day here, pause for some serene contemplation at Rovaniemi Church, then explore the fascinating underground world of Syvasenvaara Fell, and then catch some excitement at Feelapland. For maps, ratings, and more tourist information, read Rovaniemi online travel route planner . Drive from Inari to Rovaniemi in 4 hours. Alternatively, you can take a bus; or fly. In October, daytime highs in Rovaniemi are 3°C, while nighttime lows are -1°C. Wrap up your sightseeing on the 6th (Sun) to allow time to travel back home.